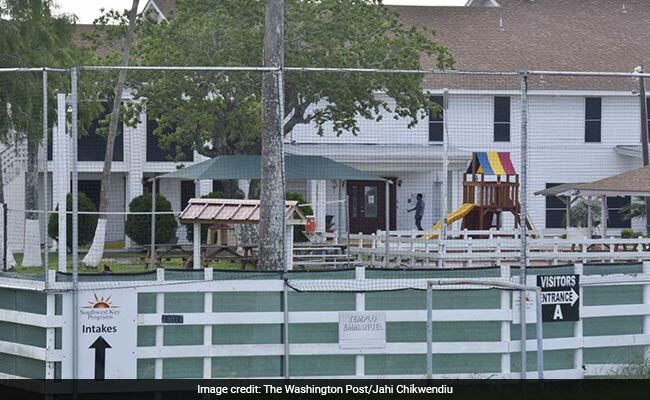 Immigrant Children Held In US Shelters: "They Told Us To Behave, Or..."
Most of the children were reluctant to talk about what they went through while they were detained. When the 8-year-old stepped off a plane here earlier this month with freshly cut bangs and a shelter-issued sweatsuit, she was met by crowds and television cameras and finally, in a carpeted airport conference room, by the mother who had been taken from her two months earlier at the border. 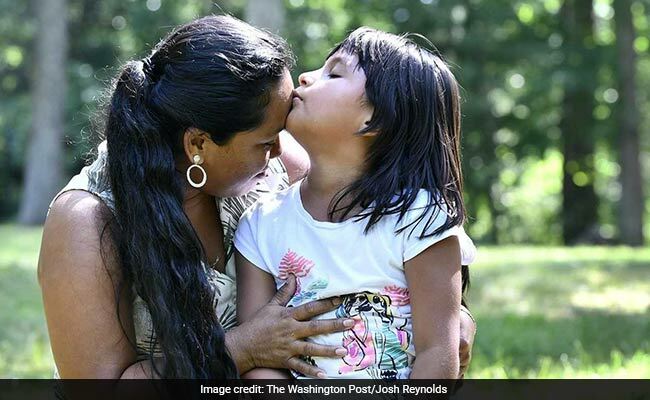 But now, a day after that joyous reunion, the girl from Guatemala was shoving a toddler who had tried to give her a hug and a kiss at a welcoming party in the suburbs. Now she was screaming and crying and telling the boy to stay away. This is what two months in a Texas shelter had taught Sandy Gonzalez. "They always kept the boys and the girls separate," the second-grader explained last week. "And they punished us if we went near each other." Under court order, federal officials have begun to return the more than 2,500 immigrant children taken from their parents under the Trump administration's short-lived family separation policy. Across the country, mothers and fathers are slowly being reunited with the children they last saw being led away by Border Patrol agents weeks or months ago. Experts warn that many of these children may be deeply traumatized by their experiences. Their voices have seldom been heard during the frenzied debate over family separation. "I felt like a prisoner," said Diogo De Olivera Filho, a 9-year-old from Brazil who spent five weeks at a shelter in Chicago, including three weeks in isolation after getting chickenpox. When he got lonely and left his quarantined room to see other kids, he said the shelter put up a gate to keep him in. "I felt like a dog," he said. 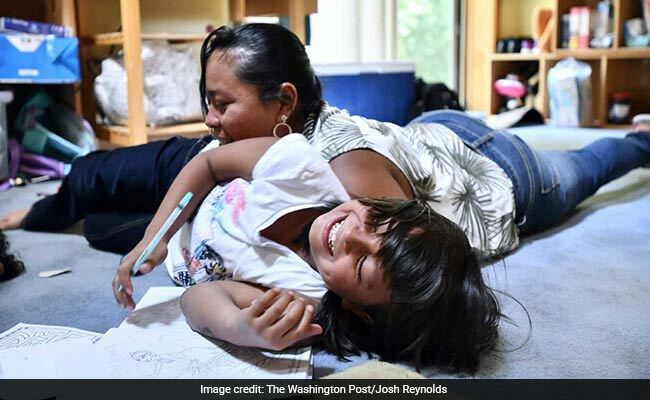 He and Sandy are among the six children recently released from the shelters who described to The Washington Post what their time separated from their parents was like. One 11-year-old boy from Guatemala who spent six weeks in the same Chicago shelter as Diogo said he had to ask permission to hug his sister. Some of the children said they now suffer from nightmares. A few, including Sandy, have had difficulty trusting their parents again. "I don't want to remember," said one 10-year-old, who recounted watching an out-of-control kindergartner get injected with something after he misbehaved in class. Parents sometimes learned the details of their kids' time in custody by listening to them talk to The Post. Sandy was reunited with her mother on July 5 after 55 days at Southwest Key Combes, a shelter in Harlingen, Texas, that was caring for about 60 kids. Some had been separated from their parents; some had crossed the border on their own. For Sandy, it was a place of sorrow, fear and scoldings. "They told us to behave," she said, "or we'd be there forever." When Angelica Gonzalez-Garcia decided to flee her abusive husband in eastern Guatemala earlier this year, she left it to her daughter, then 7, to decide whether to stay behind with her grandparents. "I want to go with you, Mommy," she said Sandy replied. Gonzalez-Garcia said she didn't know about President Donald Trump's new "zero tolerance" policy and the push to separate children from their parents to discourage families from coming to the United States. On May 9, shortly after illegally crossing the border between Mexico and Arizona, Sandy and her mother suddenly found themselves surrounded by Border Patrol vehicles. Gonzalez-Garcia told them she was seeking asylum. They were taken in the back of a pickup truck to a Border Patrol holding facility known as a hielera, or icebox, and put in a room with a few dozen other migrants and one toilet, surrounded by a low partition. Sandy was too embarrassed to use the toilet. She and her mother slept on a plastic mat on the floor with two other people. They were given thin metallic mylar blankets for the cold. "They didn't give us anything (else) to cover us," recalled the girl with almond-shaped eyes and gaps between her teeth, crossing her arms as if shivering at the thought. "They gave us soup, just soup, and some cookies and juice." After a day in the hielera, Gonzalez-Garcia said Border Patrol agents told her they were going to take her daughter away and deport Gonzalez-Garcia. As they asked her to sign documents authorizing the separation, one agent wished her a Happy Mother's Day, which is celebrated in Guatemala on May 10. That night, Gonzalez-Garcia tried to prepare Sandy for what was coming. "I told her it was like a vacation, she'd be playing, there'd be dolls, and ballgames and pizza" - Sandy's favorite food, recalled Gonzalez-Garcia. "I told her not to cry." Before dawn on May 11, Border Patrol agents took mother and daughter to a trailer with showers. Gonzalez tried not to get emotional as she bathed her girl for what she thought might be the last time, then dressed her in a baggy blue uniform. "She brushed my hair, she gave me a kiss and she hugged me," Sandy remembered. When it came time to go, however, the girl tried to hide under the mylar blankets. "Don't tell them I'm under here," Sandy said, according to her mother. "They can look for me but they won't find me." But they did find her. And suddenly she was alone for the first time in her life. "They put me in a car, then two airplanes, then another car, then another," she said. She cried for much of it. "I was so sad," Sandy said. When Sandy arrived at the Southwest Key shelter, the first thing she remembers is being lined up with other new kids and being told the rules: No touching, no talking to boys, lights on at 6:30 a.m., lights out at 8 p.m.
For a girl who'd grown up running freely around her neighborhood in Guatemala, playing and asking tourists for candy, the restrictions were a shock. She said some of the shelter employees were nice, but others shouted "callense " or "be quiet" at her and the other kids. Sandy said she had trouble falling asleep and the food tasted "nasty." She spent part of each day in school, but was put in a class that was too advanced for her. "It was stuff for older kids," she said. Jeff Eller, a spokesman for Southwest Key, one of the country's biggest shelter providers, said he couldn't discuss Sandy's account of her time in custody. "We have appropriate touching policies in place, so we can keep all kids safe," he said. "We have a 20-year history of providing compassionate child care and we're proud of what we do." More than two weeks passed before Sandy's mother was able to call her from an ICE detention center in Colorado. "When she heard my voice she stayed quiet," Gonzalez-Garcia recalled. "She didn't say anything. I asked how she was, and all she said was 'Fine.' "
When the girl did start talking, what she said startled her mother. Her birthday on May 19 had passed without anyone at the shelter noticing, she said. The staff shouted at the children, she told her mom, and a boy had kicked her in the face during recess. Sandy kept asking her mother why she hadn't come to get her, Gonzalez-Garcia recalled. The 31-year-old promised her daughter she'd come as soon as she could, and give her a birthday party with pizza and gifts. Asked what she did all day alone in a room, Sandy said she played a memory game with cards. The only other game was checkers. "And that was for two people," she said, "so I couldn't play." Like Sandy, all the children who spoke to The Washington Post struggled to cope with being ripped away from their parents and then placed in shelters filled with unfamiliar adults and unfamiliar rules. "There were people there who only spoke English, and they always said to us, 'No touch, No touch,' " recalled Leidy Veliz, a pencil-thin 9-year-old from Guatemala who was sent along with her brother to a Chicago shelter called Casa Guadalupe, run by a nonprofit called Heartland Alliance. Her brother, Victor, 11, said he had to ask permission to hug Leidy at the shelter, a cluster of three houses in the suburbs that housed about 60 kids. "You always had to be 'an arm's length' from everyone," Victor said as the siblings repeated in unison the phrase in Spanish: "Un brazo de distancia. Un brazo de distancia." Girls were kept in a separate house, so Victor only got to see his sister twice a day during recess. Victor said the children were told there were "hidden cameras" everywhere except the bathrooms and bedrooms, so any misbehavior would be caught on video. He and Leidy said they feared running afoul of the rules and being reported - a worry echoed by all the children The Post interviewed. They also feared other punishment. Victor said he was once "dragged" inside by two adult male shelter employees after lingering on the soccer field - his most painful memory from the shelter. Diogo De Olivera Filho, the 9-year-old from Brazil, said he was used to sleeping late but that habit quickly got him in trouble at Casa Guadalupe. "They told me, 'If you keep doing that, you're going to have to stay here until you're 18,' " he said. Diogo and another Brazilian boy he befriend, Diego Magalhaes, 10, said they saw a troubled 5-year-old boy repeatedly injected with something that made him fall asleep at his desk. The boy's father had been deported, Diego said, and he often melted down during the daily classes the immigrant children were given. "I was very scared," Diego said. "I thought they were going to inject me, too." Asked about the children's accounts, Heartland Alliance said in a statement that it took concerns about its shelters "extremely seriously." "We have extensive policies, procedures, and standards of care that guide our trauma-informed approach to ensure the safety and well-being of all children in our care," the statement said. "While this does include daily routines and structure, age-appropriate chores, and practices to prevent the spread of communicable illnesses, we understand how these practices may be experienced by young children who are already suffering emotionally from being apart from those they love most." Mark Weber, a spokesman for the Department of Health and Human Services, which oversees the agency responsible for the shelters, said it couldn't comment on specific children or cases, but that "our focus is always on the safety and best interest of each child." "These are vulnerable children in difficult circumstances, and HHS treats its responsibility for each child with the utmost care," he said. "Any allegation of abuse is taken seriously" and, after being investigated by the department's Office of Refugee Resettlement, "appropriate action is taken." One day, Diego said he was playing soccer on a concrete basketball court when he fell and felt his arm crunch. He said regular shelter employees - not doctors or nurses - examined him, told him his arm was fractured and then gave him a temporary cast that he wore for weeks. "It still hurts," Diego said, running his fingers over the injury. After Diogo got chickenpox, he was moved from his room with three other boys to a playroom converted into a makeshift infirmary. There were toys and video games, he said, but the video games didn't work. "They were just for show," he said. There were no other kids there and often no adults either, he said. When he got bored and left the room, he said employees scolded him and added the gate. "They told me I couldn't get out because I'd infect everybody," added Diogo, who spent almost three weeks in isolation. He and the other children said they were assigned cleaning duties at Casa Guadalupe. In addition to washing dishes and helping serve food, they had to scrub the bathroom at least twice a week. "They didn't even give us gloves to clean the toilet," Diego said. Shelter workers were particularly worried about lice, Leidy recalled. "They would look over everything in your room," she said, "and if it wasn't perfectly clean, they'd take away your blankets." While at the shelter, Diogo turned nine with no fanfare. His mother, Lidia Souza, had been released from ICE custody two weeks earlier. She called him on the phone, told him not to cry and promised him a party and a Nintendo - one that worked - for a present. He begged her to hurry. When Victor turned 11 at the shelter, his mother called from a detention center in Eloy, Ariz., and sang him the Latino birthday song, "Las Mananitas." "When my mom sang to me," he said, "I was crying because it was the first time that we didn't celebrate my birthday together." By the time some of the children were able to speak to the parents from whom they'd been taken, they felt like strangers to one another. When Diego's mother, Sirley Silveira Paixao reached him in the shelter shortly after her own release from ICE detention, the boy didn't recognize her voice. "Hi," he said. "Who is this?" "Diego," she recalled answering, "this is your mom." When Sandy arrived at her new home in the Boston suburbs, she saw leafy trees and thick grass and an expansive yard. Inside the main house, she marveled at the host family's piano, which she had only seen in movies. But inside the small, two-story guesthouse where she and her mother would stay, the girl could not shake off the two months of conditioning in the shelter. She refused to sleep upstairs in the bed. "The boys slept upstairs" at the shelter, she explained. So mother and daughter slept on a pillow downstairs by the bay window, where the girl dreamed she was back in Guatemala, at her cousin's funeral. He'd been killed just before they left. When Sandy woke up shouting and shaking, her mother said, Gonzalez-Garcia tried to calm her. "It was like she didn't recognize me," Gonzalez-Garcia recalled. The next day Gonzalez-Garcia threw her the pizza party she had promised. There were dolls and balloons featuring characters from her favorite movie, "Frozen." But two days later, during a trip to the park, the girl threw a fit when her mother strayed from her side to talk to some friends. "You don't love me," Sandy screamed before running off. "You don't want me." Gonzalez-Garcia said she is planning to take Sandy to a psychologist this week. And there have been small signs of progress. Her mother was delighted when Sandy raced outside last week after an invitation to play from the host family's 6-year-old boy. For an hour, the two rode bicycles and drew on the driveway in chalk. On Friday, Sandy sat at the small table in the guesthouse, drawing and eating ramen as her mother met with one of the family's immigration attorneys. In a black notebook, Sandy drew her new home and the path that connected it to the house of their host family. She colored the clouds blue and the sun bright yellow. Beneath one house, shaded purple and pink, she wrote the name of the host family. Beneath the other: Sandy. But when her mother drew a bird near the clouds using a black pen, Sandy seemed to recoil. "Tell the bird not to touch," she said. Now she opened a "Frozen" coloring book to a picture of Elsa hugging Anna and began to translate the caption into Spanish. "It says 'Elsa and Anna are sisters and friends,' " she read slowly. "They'll never be separated again." When it came to her own family, Sandy wasn't so sure. She thought of the shelter every day. And when her mother didn't immediately fill out forms - for school, for health care, for asylum - the girl worried that it was she who would be punished; that she would be sent back to the shouting and the rules and the room where she had spent so many hours alone. "Me van a regresar?" Sandy asked the attorney, Brittanie Allen. "Are they going to send me back?" "See?" said Gonzalez-Garcia. "Did you hear?" "She said yes," Sandy insisted. "You're never going to go back there again," Allen promised. "No," the girl agreed quietly.